With beef, lots of garlic, chilli, and seasoned with Knorr Liquid Seasoning, you can always count on Beef Salpicao to make your day. 1 Here’s something that you will never get tired of eating and cooking. It’s easy and very delicious too. All you need to do is marinate the beef in garlic, soy sauce, and pepper for at least an hour. 2 Get your pan nice and hot over medium heat. Pour some canola oil or butter and sauté the garlic until toasted. 3 Add the marinated beef then season with Knorr Liquid Seasoning. 4 Toss in the chilli next then sauté for another minute and that’s our dish. 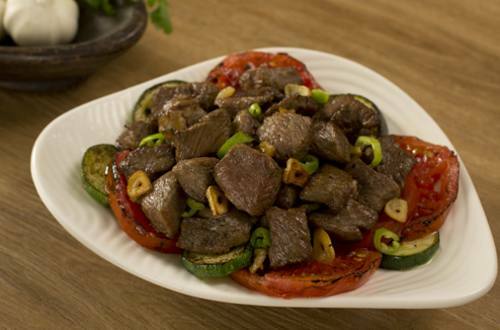 You can never have enough of Beef Salpicao. It’s brings comfort any time and any day of the week.